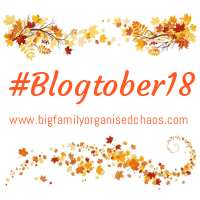 Today is day 17 of Blogtober and today’s prompt is “quick hide the wrappers – #chocolateweek”! I’m going to share my 10 favourite UK Chocolate bars. How many of them do you love? 1). Crunchie (Released 1929 by Fry’s – who later merged with Cadbury). What’s not to love? Delicious honeycomb middle, coated in amazing Cadburys Milk Chocolate. I love to nibble off the chocolate and then be left with the honeycomb centre. YUM! 2). Double Decker (Released 1976). If you like a few different textures at once, this is the bar for you! The base is chocolate coated Rice Krispies, then there’s a layer of nougat then the entire thing is coated in chocolate. Amazing! 3). Regular Aero Bar (Released 1935). The solid bar is better than the one which is shaped into segments. I loved these dipped in galaxy hot chocolate from the vending machine. They practically got me through College! 4). Kit Kat Chunky (Released in 1999). Nibbling off the chocolate and being left with just the middle is basically the holy grail of chocolate based snacking in my opinion. Kit Kat Chunkys are one of the best bars to do this on – Yum Yum! 5). Peanut Butter Kit Kat Chunky (Released in 2006 as a limited edition, then again in 2012). If you’re a peanut butter fan, you’ll love these! All of the usual Kit Kat Chunky epic ness, with a layer of Peanut Butter thrown in for good measure! 6). Boost (Released in 1985). Biscuit boosts have been around for a long while now. They were my go to chocolate bar on my way to school, and I still love them now. I find them more filling than other chocolate bars. Definitely good at keeping you going until lunch! 7). Salted Caramel Galaxy (Released in 2015). Need I say more? Absolutely amazing! If I could only eat one bar of chocolate for the rest of my life, this would win. By miles! 8). Cadbury Fruit and Nut (Launched in 1926). Interestingly, the Aldi one is the best I have tried. I eat loads of them! If you haven’t tried them yet…. Don’t! Leave them there for me! (I do like the Cadburys one too, but if you’re near an Aldi… theirs is much nicer! 9). Terrys Chocolate Orange (Launched in 1932). I don’t know if you can still buy the bars of this, but the full oranges are amazing! If you’re ever stuck for ideas when buying me a gift…. these are always appreciated! Also: Who needs flowers when you can buy Terrys Chocolate Orange? 10). Twirl (Launched in 1984). If you need a fast chocolate fix, Twirl is the way to go! When it’s that dreaded time of the month, Twirls are always in my basket! They never fail to make me feel better. Also… dipped in hot chocolate, they are epic! So there you have it! My 10 Favourite UK Chocolate Bars! Did your favourite make the list? The only chocolate bar I’ve nibbled the chocolate off first is Twix, then you eat the caramel and dip the biscuit in your tea! Aero is my favourite. Oh yes! Love doing that with a Twix! I do it with pretty much everything. Kit Kat Chunkys, Crunchies, Double Deckers, etc etc. Yum yum! We’ve just had some of the peanut butter kit kats as they were bought by accident. They do taste ok actually. Love all of these. My favourite is between Crunchie and Twirl, so both have made the list!